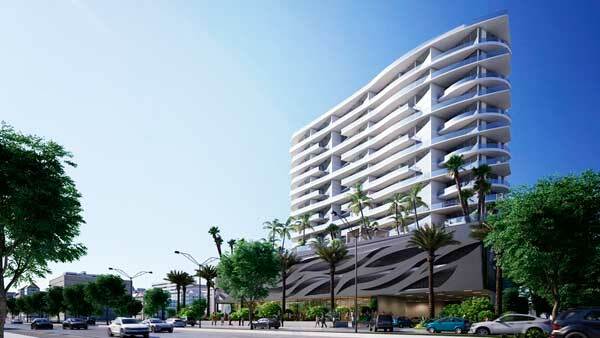 Aurora condos is a new project of the developer Verzasca Group. At this point, two of the company’s projects at Bay Harbor Islands, Pearl House and Le Jardin are already under construction. More than a half of the future apartments are already sold out. 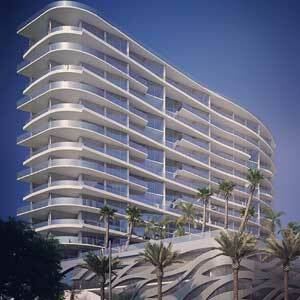 Aurora condos is a new project of the developer Verzasca Group. At this point, two of the company’s projects at Bay Harbor Islands, Pearl House and Le Jardin are already under construction. More than a half of the future apartments are already sold out. 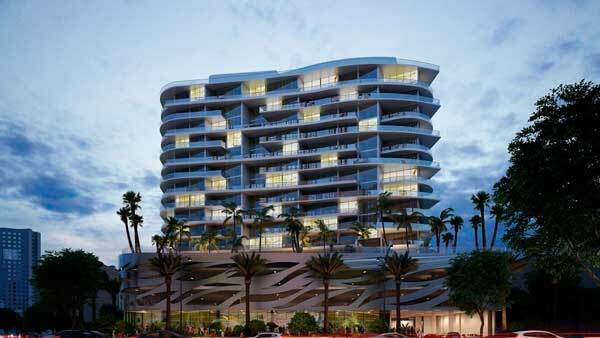 The building will be located at 17550 Collins Avenue in the Sunny Isles Beach, just a few steps from the beach and the ocean. 16-storey condominium will consist of 61 luxury residences, located on 13 floors set aside for apartments. For the reason that the building is deployed at an angle of 23 °, all the apartments of Aurora condos will offer stunning views of the ocean. The layout provides 2 and 3-bedroom apartments ranging from 1,500 to 2,100 square feet. The average area of residences will be 1,600 square feet. 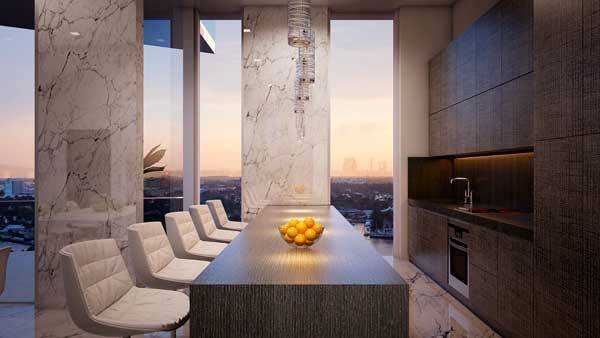 ‘Aurora condos’ also offers stunning penthouses. Prices per square foot start at the point of $600, which means that the average area of apartments will cost less than $ 1 million. 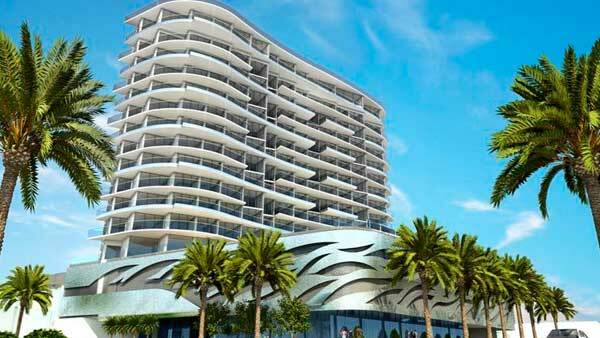 This is due to the desire of developers to bring “affordable luxury” in the Sunny Isles Beach. 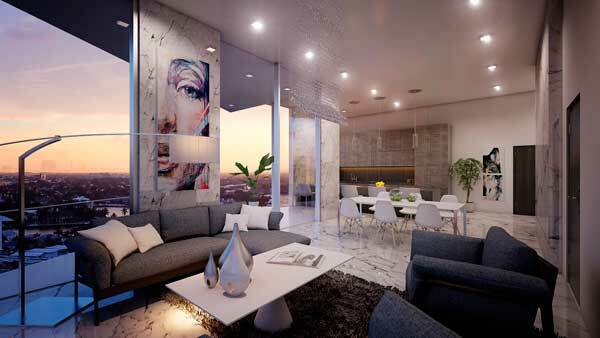 Architecture of Aurora condos is inspired by the ocean, and the structural panel, which is decorating the building, symbolizes the ocean waves and the unity of the project with the surrounding nature. The curved lines of balconies also create the illusion of motion of the waves that perfectly complements the elegant exterior of the building. The start of construction is planned for 2015, and the end – in the middle of 2017. The advance booking will start soon and the purchase of apartments will be available.